I’ve been a big fan of Scott Denholm’s art work for some time, so it gives me great pleasure to help promote his art work and new website Eco Surf Art, which showcases a number of Scotty’s eco friendly surf art, including originals, surfboards, giclee canvas and paper prints. What’s more impressive is that Scotty doesn’t just look at the materials he’s using, his whole painting process has the environment in mind. 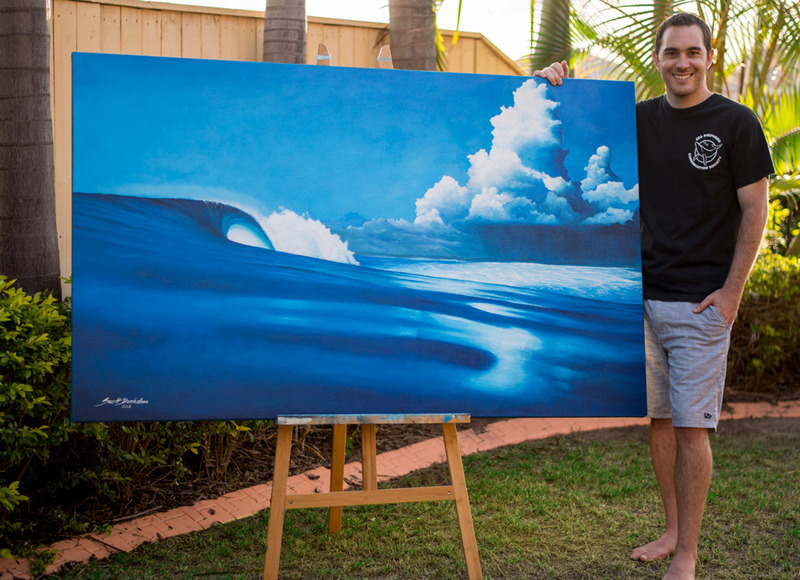 He is most likely the only eco surf artist in the world that has a process like this. I hope you enjoy browsing through his work and reading his story as much as I did.